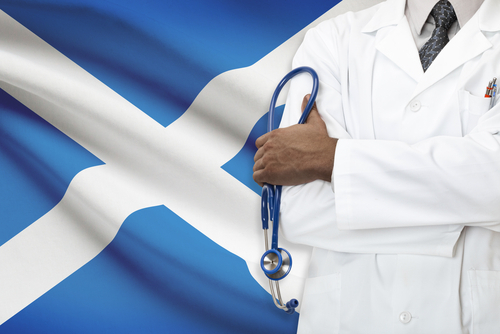 Scotland’s big waiting list plan – is it enough to restore 12 week waits? There is something different about Scotland’s latest plan to improve elective waiting times: it should actually work. In recent years the Scottish Government have, from time to time, announced a few million pounds here and there to reduce waiting times. As so often happens with waiting list initiatives, these cash injections have produced a short term result, but not changed the underlying position that baseline activity is not keeping up with demand. This is now changing. Firstly, because Scotland is permanently increasing its elective capacity by creating six new elective treatment centres. And secondly, because £535 million is being spent over the next three years to tackle the existing backlog. Large sums of money are all very well, but the question is: is it enough? In the long run, the most important factor will be baseline capacity. If the NHS in Scotland is able to keep up with the demand for elective healthcare then all will be well for years to come. The new elective treatment centres are going to add much-needed capacity when they come on-stream in a few years’ time, and this may be sufficient; but I confess I don’t know the figures well enough to forecast whether it actually will be or not. And the Scottish NHS will want to take care, by planning for the right bed occupancy, that those elective services which remain in the main acute hospitals do not become even more vulnerable to cancellations caused by fluctuating non-elective demand. But here we are going to focus on the shorter term – the next three years – and here we can assess whether these new resources are likely to be enough. The raw data for this analysis is the stage-of-treatment waiting list data published by ISD Scotland over the year from July 2017 to June 2018, and I have run the numbers through Gooroo Planner to work out what is required to restore 12 week waiting times for outpatients and admitted patients. As we shall see, the new money does look sufficient to restore 12 week waiting times by March 2021. The difficult bit is going to be capacity. So the onus is now on Health Boards to correctly calculate the capacity they are going to need to get their fair share of the funding available, and turn it into the right amount of staffed bed, theatre, clinic and diagnostic capacity to do the job. The Scottish Government have announced “a total of £535 million on resource… over the next three years to make a sustainable and significant step-change on waiting times”. When new money is announced it is always difficult to know how much is genuinely ‘extra’, especially when baseline funding has in the past been topped-up with waiting list initiatives. Looking back over the past year, the waiting list initiatives I found have included £50 million announced in May 2017, and a further £4 million in November 2017. It may be that not all of this money was spent on extra activity, or that further sums were used to top-up activity, but for the purposes of this estimate I will assume that Scotland’s elective activity over the past year benefited from this £54 million in ‘extra’ spending. Because the analysis calculates the activity required in the future, over and above the past activity rate, this £54 million will need to take first call on the £535 million that has been announced. After applying it annually between July 2018 and March 2021, we are left with £400 million in genuinely new money. The extra activity required is partly recurring (to keep up with demand and stop things from getting worse), and partly non-recurring (to reduce the waiting list and make 12 week outpatient and admitted waiting times achievable). The published data is broken down by Health Board but not by specialty, and some data is not provided for all Boards. So we will keep the analysis simple by modelling the whole of Scotland in one lump. This effectively assumes that every specialty in every hospital will end up with the same waiting time, so we need to allow a margin for error below 12 weeks to allow for some variation. So instead of using 12 weeks as our model assumption we will use 9 weeks, to allow some margin for variation between one waiting list and another, and to allow for suboptimal patient scheduling within any given waiting list. The other big assumption we need to make is about growth in demand, and here things are much simpler. The Scottish Government state that the extra money is additional to the funding uplifts that NHS Boards receive each year, so we will assume that trend growth is taken care of by the usual funding uplifts and therefore use a zero growth assumption in the modelling. The results calculated by Gooroo Planner are shown in the table below. The extra activity that was funded over the past year has done a decent job of stopping the outpatient waiting list from growing. So outpatient activity does not need to increase significantly to keep up with demand, and nearly all the increase in activity is therefore one-off to reduce the outpatient waiting list and restore 12 week waits. When these extra outpatients are seen, some will need treatment and convert into elective demand; the model has automatically calculated that extra demand using the historic conversion rate. That is added to the extra elective activity needed to keep up with demand, and the waiting list reduction needed to restore 12 week waits, to produce the much larger increase in activity for elective care. The summary Costs Book figures for outpatients and acute surgical are £168 for an outpatient appointment and £2,261 for the average elective admission (taken as the weighted average of the inpatient and daycase figures). However that is the cost of activity in existing NHS facilities. But this reduction in waiting lists is happening at a time when non-elective demand is putting bed capacity at a premium, and will have to be squeezed in before the extra treatment centre capacity comes on-stream. It is therefore likely that the cost per case for extra activity will be higher, making significant use of evening and weekend sessions, and (as the plan makes clear) including the independent sector. I don’t know how much the extra work will cost, but for the purposes of this analysis let’s assume it is 50 per cent higher than the Costs Book figures. Applying those costs to all the activity in excess of the past activity rate brings the total cost to £345 million – comfortably within the £400 million we previously estimated would be available as genuinely extra money. After making some reasonable assumptions about waiting list management and costs, this analysis suggests that restoring 12 week waits for outpatients and admitted patients would cost something like £345 million in Scotland, compared with about £400 million in genuinely extra money being made available over the next three years. On that basis, the plan does look enough to achieve the goal of restoring 12 weeks waits. 3) short-term capacity is more expensive than long-term capacity, so if you need to achieve a result quickly then you need to allow a higher level of funding and be prepared to use alternative sources of capacity (even if they are politically difficult, as is true of private sector capacity in Scotland). Boards will be required to provide detail on how investment will be used and what performance improvement follows. The next test will be to translate this overall funding package into the right amount of detailed capacity in Health Boards across Scotland. As the overall funding appears to be well constructed, Health Boards would be wise to prepare their own plans to a similar standard, to achieve the right balance of recurring and non-recurring capacity for outpatients, inpatients and daycases. That way, these ambitious plans could be turned into reality for patients across Scotland.